I am sorry that some of you purchased WAY more inventory than you were willing to sell, but it just goes to show that you CAN NOT BUY your way into Mary Kay, which apparently many of you were trying to without doing the work. You have to work the career path and MK is far more legitimate and a far better opportunity than anything Corporate America has to offer or all the BS Corporate America will ask you to do and never comnpensating you for it either. I look back at my Mary Kay days as very positive and some of the BEST sales training I have ever received and I have been to ALL the seminars. Mary Kay and other direct sales companies are about THE BEST thing going out there and sorry if the rest of you want to sit behind a desk and retire on 1/3 of what you are now making, but not me. I WISH that I was getting a percentage of EVERYONE I have ever trained in Corporate America!!!!!!!!! ALL of you are really sad and TOO BAD that some of you sold stuff back to MK, you can NOT ever join again. At least I know I can always go back (if cosmetics were to ever become my thing, which sadly wasn’t)if I wanted too, but I am with another company and doing very well at it. I was looking for an old friend in MK and ran across this pathetic MK bashing blog. This is really a sad, sad site. Get a life all of you. Please. Go to grammar class. Please. 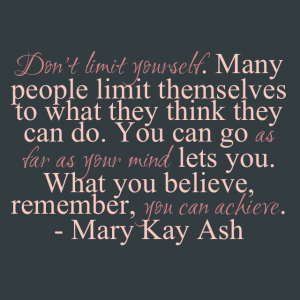 If Mary.Kay is such a great opportunity, why did she quit? And please don’t give me that “makeup isn’t my thing” excuse. 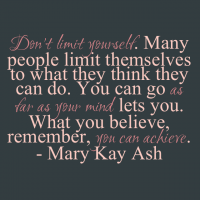 Mary Kay is a multi-level marketing company, plain and simple. If she doesn’t like makeup there’s an MLM out there for whatever she does like. But no, MLMing was a wonderful opportunity (according to her) so she’s working in traditional corporate America instead. Hypocrite. Or is she with another MLMing company? That’s how I read it. Either way, she’s either still a scammer, or doesn’t walk the talk. I suspect she was looking for her “old friend from MK” to try and lure her into her new pyramid scheme. I thought MK you’re right. She is indeed an MLMer with another MLM company. What threw me was that she claimed she’s been teaching people who are now in corporate America. What arrogance. The only thing MLMers can teach people in real jobs is how to recognize scammers, and that lesson costs a lot. I have never had a promotion in “Corporate America” depend on my buying the company’s product and getting my family, friends, and direct reports to buy it. I have never had a promotion in “Corporate America” depend on my recruiting direct reports for my department. I have never had an employer in “Corporate America” give me a list of things my spouse should be doing at no pay to help me do my job for that employer. Intel never required me to buy their chips and Philips never required me to buy their light bulbs to keep my job. AMEX never required me to sign up for their cards. Corning paid 100% for my car and its insurance when my job required one, as well as all hotel and meals when I was on the road. Several paid my expenses to corporate events and industry conventions. Several paid for training (expensive training!) so I could do my job better. – They let me bring my dog to work – just for fun. But wait, there is even more terrible, awful, stuff that my company in “Corporate America” is doing! I am facing a cancer diagnosis at the moment. Want to know what my awful, terrible, no-good “Corporate American” company is doing? – They have Short Term and Long Term disability that THEY pay for on behalf of each employee, so I will receive 67% of my paycheck while I am out for my surgery. – They will continue to pay for my health insurance while I am ill.
– The company has offered to SUPPLEMENT my short term disability so that my family doesn’t suffer during my illness. Jeez, if I had known that my company sucked so bad, I would have jumped on the MLM bandwagon years ago…. All the best as you focus on your recovery. How wonderful that your company is supportive. You would not have that level of financial and emotional support in any MLM. Peachy… I had a cancer diagnosis 6 years ago… will be praying that all goes well with your surgery and for a speedy recovery. Sounds like you’re at an excellent company that understands that their people are the heart of their business and they prove that by standing by them with incredible support and assistance. @JanRD & OnelessSD – Thank you for your well wishes. We caught it early and my doc is confident that surgery will be all that is necessary to be cancer free. My company is second generation family owned, so they totally get it when it comes to health and family issues. I’m incredibly lucky in that regard. With that said, I honestly can’t understand how someone would willingly give up health insurance, paid time off, and a steady paycheck, etc. for the uncertainty of an MLM. I’m in my mid-40’s and even in my crappiest job years ago, I would never make that kind of jump. Peachy… sadly, I did just that in my early 30’s. I bought into the hype that my life and my family’s life would be so much richer (I’m talking about tangible and intangible things) if I would pursue Mary Kay full time. I joined MK when I was newly married… but became a director when my kids were little. I was a director for 7 years. I thought I was doing something that would benefit our family for years to come – but I was totally wrong. It cost us way more than it benefitted us. MLMers are so purposefully confused by the scamming MLM company rhetoric, they don’t even realize that their head is in their a$$. Just FYI I did the work 40+ hours a week for 10 years. I spent thousands and thousands for dollars and made nothing. I followed the plan did what they said and still nothing. I was the perfect Mk consultant and all it got me was debt. Those people that loved you throughout your time with Mk all of a sudden disappear. One started a rumor at my children’s schools saying I was on drugs when I quit. Now I drive buses for a school district in my hometown and I couldn’t be happier. I have benefits and steady income. And mission accomplished for MK. The plan worked perfectly!!! They made thousands off you. Agree! After 20 years I retired with no cost health coverage or vision. $35 a month for dental and 50% of my base pay for life plus other perks. Who retired at 20 in MK? NO ONE! Get a reality check lady and read the facts:very few will get anything for retirement in MK…only some NSDs. Good luck getting there-without hubby’s paycheck for day to day living expenses. Please spend some time becoming more familiar with those who post and comment on this site. Some of us were customers who had no interest in becoming consultants and had to deal with multiple attempts to recruit us. Others are emerging from the pink fog. Read the above posts and see just a sample of those who worked hard in MK and drove the cars and walked the seminar stage. The myth that Pink Truth posters are “lazy loosers (sic) has been put to rest. LOL LOL I just spit up my morning beer! LOL LOL Thanks for the laugh, troll. Are there any DSAs that are team oriented, positive, with mentors for new reps? Thanks! The business model of DS where you are expected to “build a team” and get commissions off their work encourages back-stabbing, poaching customers and teams, and lying. The business model is very short-sighted and doesn’t reward long-term results. They go month by month, quarter by quarter, and wipe your results away at every milestone. They do not reward a solid seller who carefully recruits and mentors a small team of good salespersons, they reward someone who churns through dozens of recruits and gets them to order a lot and then go inactive. They do not reward a mentor whose meetings are useful training in how to use the product and how to sell … they reward the one who gets the team to order more than they can sell, who uses the meetings to recruit instead of train. If it is “endless chain direct selling” aka multi-level marketing like Mary Kay, team oriented or “building a team” is code for recruit your own customers. And let’s not forget you were also probably that customer who was recruited. Just stop and really think about that for a moment. It’s a dumb as it sounds for supposedly a “selling” business model. Direct selling and team building is double talk for pyramid scheming and meant to lure and confuse you. I guess she doesn’t realize MK is a corporation. She needs to warn the MK employees in Dallas about their dire predicament. Pink Truth is pathetic? Here’s what’s really pathetic: Women throwing away their time, money, talent, education, and energy on Mary Kay and other MLMs. You’re not being “empowered.” You’re being used and abused; ultimately, you will also be blamed and abandoned.